On Tuesday I’m flying to Bogota, Colombia, for a quick vacation before school starts up again. I’m not planning on spending any of that time writing – in fact, I’m not even taking my computer – but I wanted to get a few things down in the few hours before I head to the airport. But mostly I just want to point out that, yet again, a major Chicago media organization has covered a transit issue without talking to a single actual transit user. As ever, the reporter pitches the conflict, or tradeoffs, not as between people who ride the bus and people who drive, but between high-handed “city planners” and regular people who happen to drive. CBS lets Peter Skosey at the Metropolitan Planning Council and Rebecca Scheinfeld from CDOT represent the pro-BRT side, along with some rando in a bike helmet, and then talks to four people in their cars. Despite the fact that the report was shot in the Loop, where there is a bus station on virtually every corner, it did not seem to occur to anyone that if you are going to interview seven people about a bus project, maybe one or two of those seven should be someone who rides a bus. A-plus reporting, CBS. Last week, for instance, the American Public Transportation Association reported that 74 percent of people support more mass transit spending. But only 5 percent of commuters travel by mass transit. This support, in other words, is largely for others. Not to be rude to Eric Jaffe, who I generally like a lot, but this seems like a pretty silly question to me. 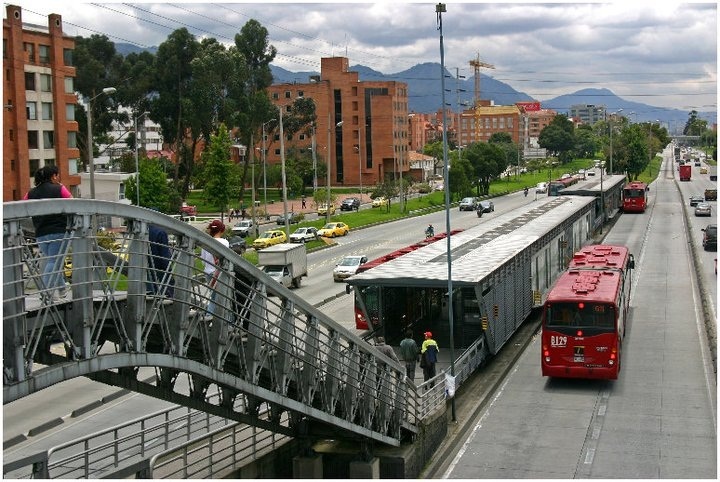 People don’t ride mass transit because riding mass transit doesn’t make any sense for them. Lots of people also “support” getting in shape – they even spend their own money on diet apps and gym memberships – but very few actually do it, because eating whatever you want and then not going to the gym is much, much more convenient than the alternative. By the same token, a person who must walk fifteen minutes along a street without sidewalks to a bus stop on a line that comes every twenty minutes and would take twice as long to get to work may “support” mass transit, but would have to be kind of insane to actually use it. (Money is a constraint, of course, but even the vast majority of the poor, faced with those conditions, just buy a car as cheaply as possible.) Nor are those kinds of tradeoffs limited to people who live in postwar sprawl: From where I live, in a highly walkable neighborhood with two relatively high-frequency bus lines and a subway stop within a five minute walk, getting to most jobs in the Chicago metropolitan area by public transit is simply not a plausible choice for someone who has other options. And that’s not just true of jobs out in the burbs, far from transit themselves: even getting to, say, Evanston – which by car is maybe 45 minutes – would be pushing an hour and 20 minutes by public transit, simply because the lines aren’t oriented to serve that trip. Jaffe claims that relatively low ridership on new transit services created by popular referendum is another data point on the “support-usage gap,” but really all it shows is that transit is drastically inconvenient for the vast majority of people in a way that one or two new lines can’t fix. Anyway, I think the only way this can seem like a hard question is if you’re not thinking of the issue from the point of view of current or potential transit users. Instead, as with CBS, it’s a philosophical question. But for the vast majority of people, transportation isn’t a philosophical issue. It’s a convenience issue. It would be nice if both sides would approach it that way. Re point 2, 98% of Americans favor public transportation for other people. Currently 1hr19min in rush hour trip, 45 minutes without traffic. Transit time might 10-15 shorter now with the subway not closed.